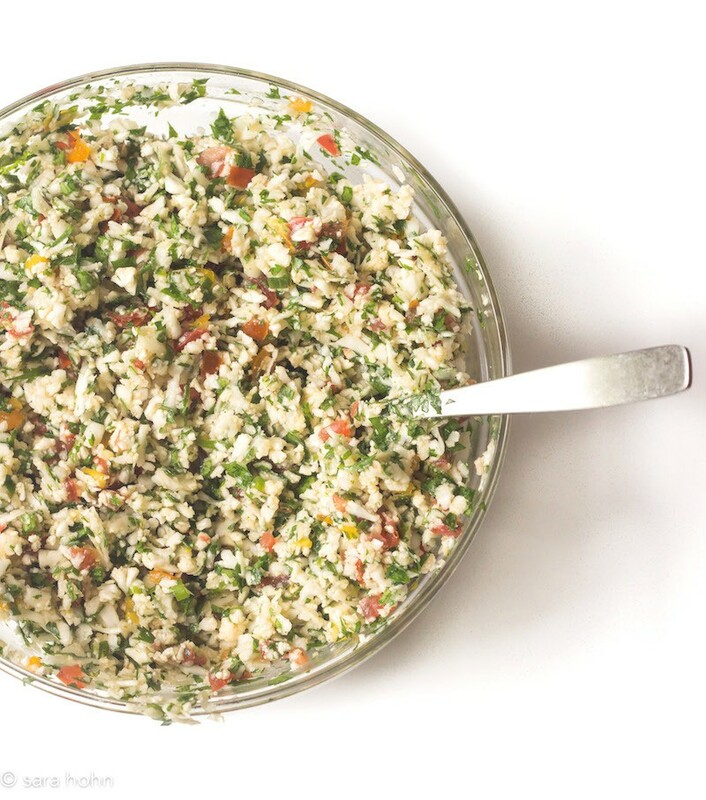 I wanted to share with you a highly untraditional recipe for tabbouleh featuring…cauliflower. Tabbouleh is a Lebanese salad made with bulgur wheat. All of the traditional recipes tend to focus more heavily on fresh herbs (parsley and mint) than the wheat, making this salad herbal and brightly-flavored. In place of wheat, I decided to use raw cauliflower. 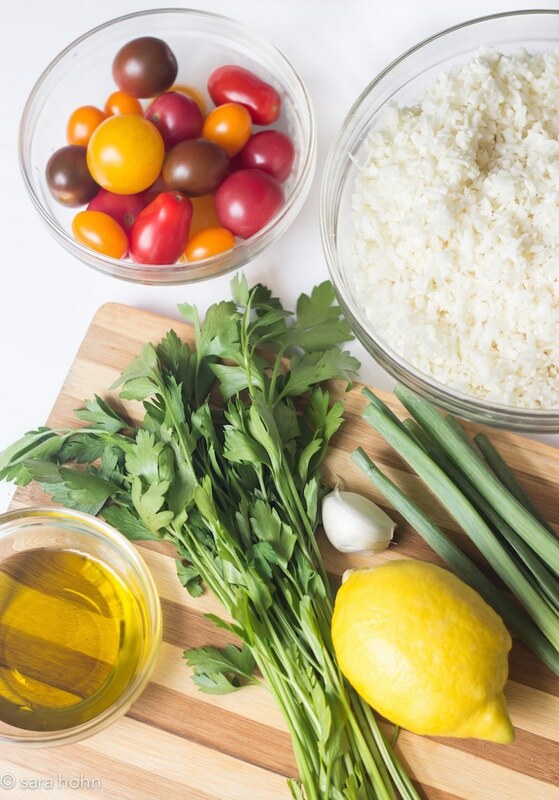 We’re seeing it used a lot lately in everything from “rice,” to non-dairy cheese sauces and even “steaks.” And while this isn’t the most traditional tabbouleh recipe, I can’t fault a versatile vegetable for wanting to try new things. To prepare the cauliflower, grate it with the larger holes of a box grater, or use the grater attachment of a food processor. (Skip the denser part of the stems). This recipe calls for about 4 cups of grated cauliflower, which is about half of a large head. (With the other half, simply chop it into florets and coat with a bit of olive oil. Roast in the oven at 400 degrees F and serve with some tahini dressing). I like to add cooked chickpeas and diced cucumbers to the salad for a heartier dish. 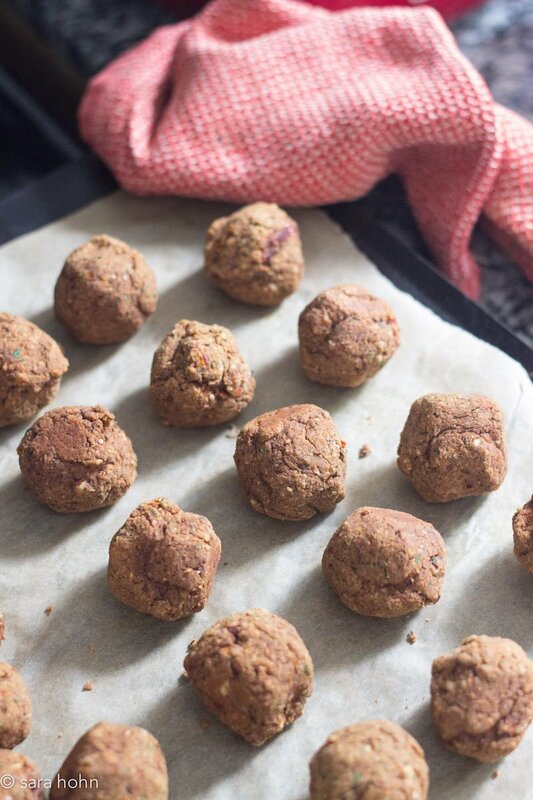 You can also significantly increase the parsley or add fresh mint for a more herbal flavor. Serve tabbouleh as part of a mediterranean mezze platter with foods like hummus, baba ganoush, stuffed grape leaves, roasted vegetables and pita bread. Because of the fresh herbs, this dish only keeps well for a day or so. It’s best enjoyed right away. In a large bowl, combine cauliflower, garlic, parsley, tomato and scallions and mix well. In a small bowl, combine lemon juice, olive oil and salt. Pour over cauliflower mixture and mix well. Add fresh ground pepper to taste. « Homemade Levity is now Prepgreen!